Prepare the shrimp mousse and bring a pot of water to a low boil. Using two wet spoons, fold the mousse into an egg shape and slip into the boiling water. 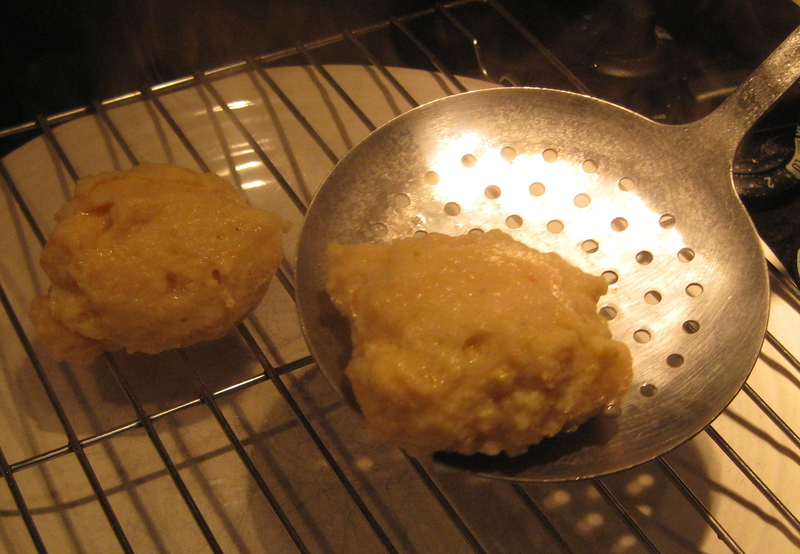 Dumplings should cook until the exterior’s firm, about two minutes each. Use a slotted spoon to transfer dumplings to a drying rack. If they don’t hold their shape on the spoon, they’ll need more time in the water. Prepare the tomato sauce. 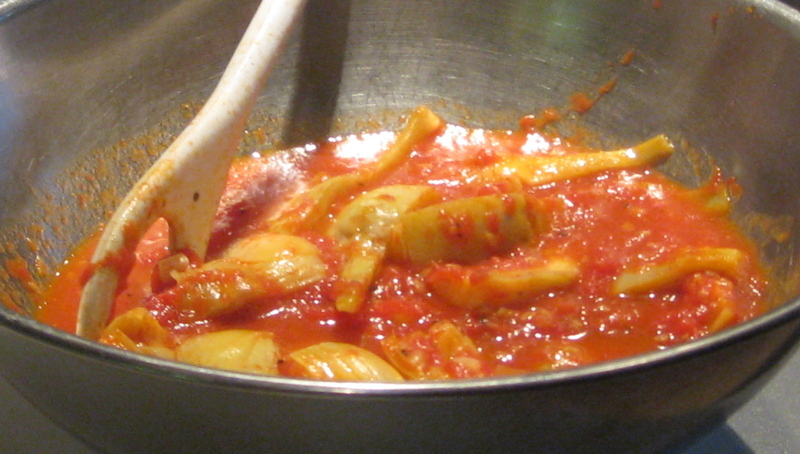 In this case I added quartered artichoke hearts preserved in water along with the garlic and other ingredients. Preheat the oven to 350°F. 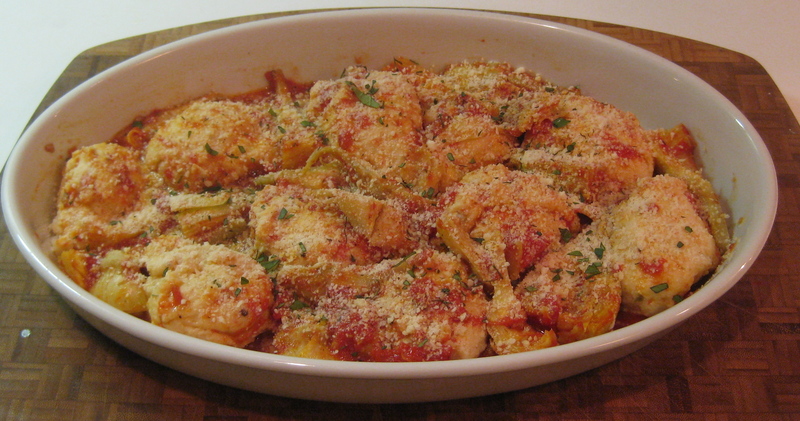 Place dumplings in a gratin dish, cover with tomato sauce, and sprinkle with parmesan cheese and oregano. This goes well with colorful vegetables – asparagus, broccoli, green beans, squash or carrots all work fine. A light and dry white wine’s a good complement.